I don't know about you, but I couldn't be more excited about the end of these dreary winter days and the start of springtime! Although we will (maybe) miss cozy sweaters like these ones, we can't wait to pull out our breezy dresses and tops! 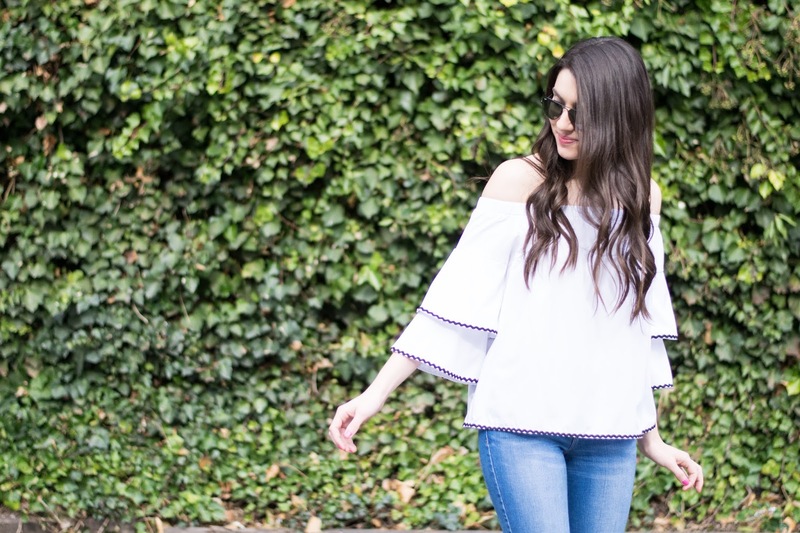 One thing we're most excited to bring back are off the shoulder tops! 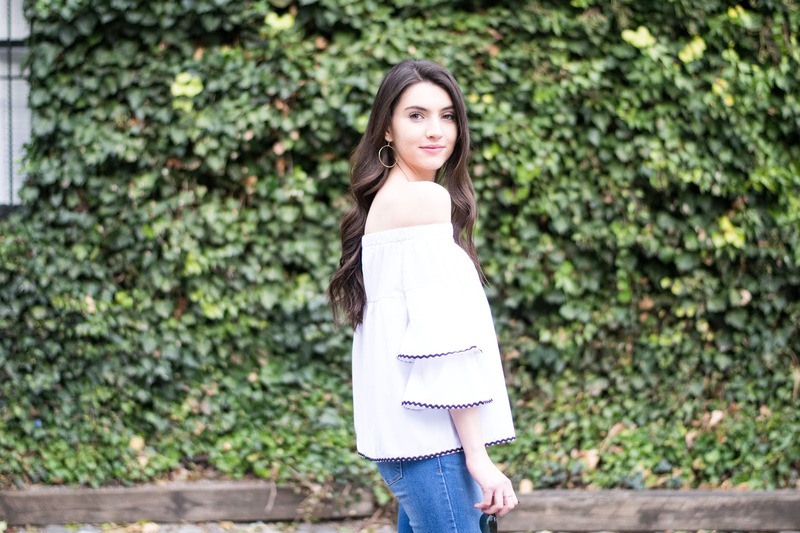 This tiered sleeve black and white top is already one of our favorites and we know it's going to be a repeat for the season. Even though the top is a simply black and white, it carries so much detail in the sleeves! We have definitely been seeing the trend of voluminous sleeves on bloggers and fashion icons so this is the perfect way to channel that trend in a simple style that is perfect for so many occasions! Richmond has been giving us unusually warm weather but we are definitely not complaining! It was 80 degrees when we decided to shoot this look! 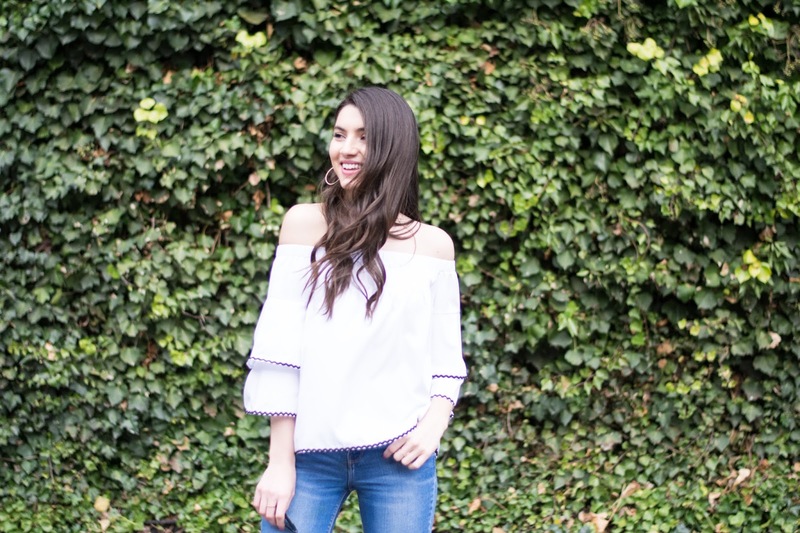 Paired with your favorite pair of jeans and causal shoes, this will become your go-to outfit when Spring rolls around! I couldn't share these pictures without mentioning these amazing earrings. They are from the brand MLKANHNY and are all handmade in Vancouver! Since the top exposes a bit of skin, these hoops definitely make a statement without being over the top. It would be cute if you added a choker, like this one, to the look! 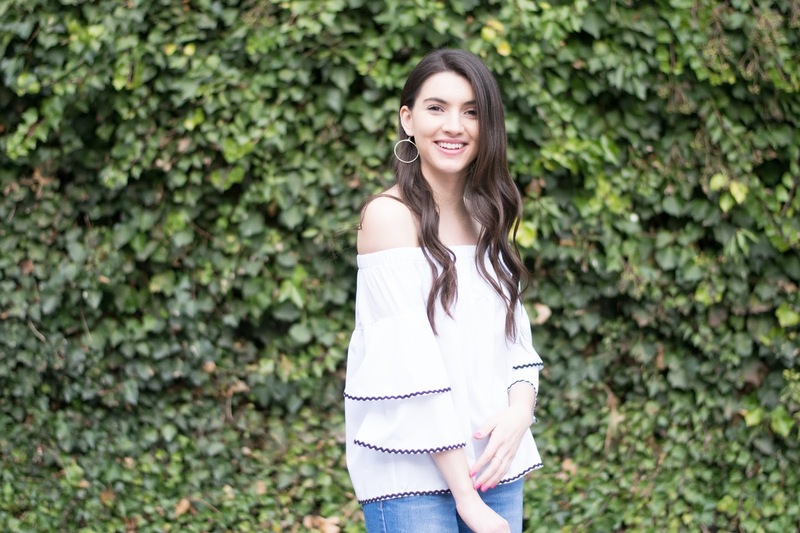 We are going to be sharing tons more outfits that are perfect for Spring on the blog so be sure to check the blog weekly for those posts!